US Immigration and Customs Enforcement has finalized a contract granting them agency-wide access to a national license plate recognition database, The Verge reported Friday. 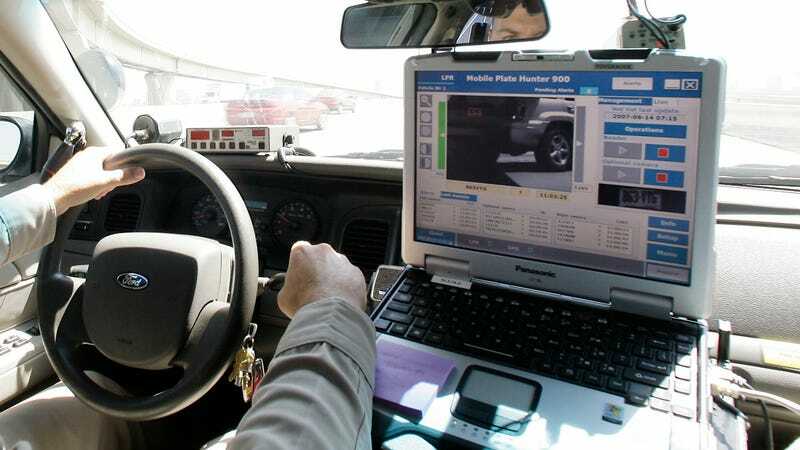 License plate readers are increasingly common in law enforcement agencies across the US, but this is the first time the agency has gained full access to such a surveillance database to crack down on illegal immigration. In 2014, ICE put out a call for bids from companies to compile a database to capture immigrants with pending warrants. Homeland Security Secretary Jeh Johnson cancelled that plan after widespread concern that American citizens would be caught in the dragnet and surveilled as well. As a privacy safeguard in this latest plan, ICE has been granted access to an extant license plate database, but can’t add new data to it, only search what’s available. License plate readers are cameras linked to law enforcement databases. Essentially, they take a photo of a license plate, recording details like its location and when it was spotted, and upload that information to a database. Agents can then query the database to find the recent locations of a license plate or see if the owner has been flagged by law enforcement. ICE’s contract was finalized with Vigilant Solutions, which brags of a database containing more than 2 billion license plate photos. The Verge reports that ICE agents would be able to search the database to find everywhere a given plate has been in the past five years. Privacy advocates have voiced concerns here, arguing this information, particularly in heavily policed areas where ICE contact is more frequent, could potentially reveal a lot more than what’s on a person’s driver’s license. Residences, associates, places of employment, potentially even health or pregnancy status (if a car was, say, spotted at a Planned Parenthood or STI testing center) could all be inferred from this data. Additionally, the site reports that users can tag a particular license plate to receive alerts via Vigiliant’s app whenever it’s spotted. ICE agents could add hundreds or even thousands of plates to the “hot list,” as its called, receiving instantaneous updates as plates are sighted on tunnels, bridges, toll booths, or at traffic stops. The report also cites a case of a single car having its location recorded 24 times in a week. Over longer periods of time, it’d be possible to collect extra “intimate” data about a subject—long before they’re made aware of any surveillance. The Trump administration has promised to crack down on immigration and, in turn, step up surveillance along the border with a variety of technological tools, including everything from drones to autonomous surveillance buggies, string ray towers and, of course, a giant wall. As The Verge report notes, by working with private companies protected by proprietary business laws, many of the surveillance tactics will remain obscured.